Goethe once said that “art is a mediator of the ineffable”. We convey this aspiration in the online shop from ARTvergnuegen. 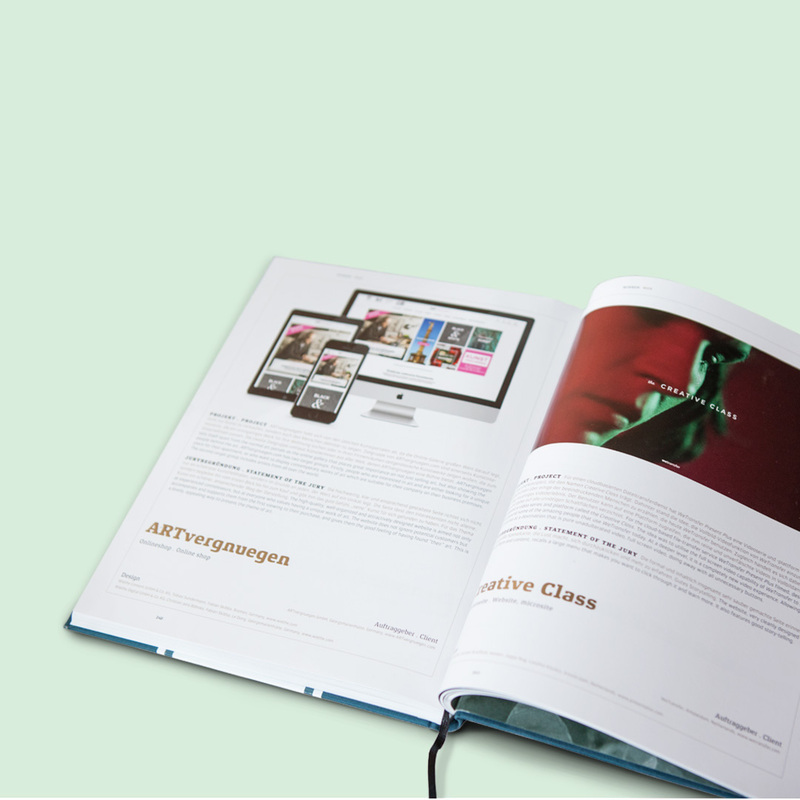 The result: a high-quality presentation of works of art and literature as well as a modern user interface. A visit to ARTvergnuegen.de is something for savvy art collectors as well as newcomers and resembles a visit to a digital atelier. We integrated a special feature – trial hangings of artwork – so that the art object fits perfectly in one’s own four walls. Art enthusiasts can virtually hang the work in their dwelling before purchase with the free ARTvergnuegen app. Why should you hark back to a well-known artist when a newcomer is just as convincing? We portray brief videos featuring the work of creative artists in order to bring this closer to art enthusiasts: worlds of inspiration, techniques and individual approaches are presented. Supplementary interviews perfectly round off the impression. Warum nur auf Altbekanntes zurückgreifen, wenn Newcomer ebenso überzeugen? Um diese dem Kunst-Enthusiasten näher zu bringen, portraitieren kurze Videos die Arbeit des Kreativen: Inspirationswelten, Techniken und individuelle Herangehensweisen werden vorgestellt. Ergänzende Interviews runden den Eindruck ideal ab. And the winner is… the ARTvergnuegen online shop swept the board in the past: the platform was honoured with seven awards in just two years. Among other things, attention was given to usability, the personal concept and the clean, appealing design. And the winner is – der Online-Shop von ARTvergnuegen hat in der Vergangenheit abgeräumt: Mit sieben Awards in knapp zwei Jahren wurde die Plattform ausgezeichnet. Das Augenmerk lag dabei beispielsweise auf der Usability, dem persönliche Konzept und der cleanen, ansprechenden Gestaltung.